Before you start on anything, make sure that you understand your budget. Be sure to consider any expenses that might accrue from labor to material costs to fixtures. To create your budget, write down any expense that you foresee. Estimate what you’re willing to spend, but make sure this number is realistic with industry standards. To help you through this process, get quotes from several companies. (Hint: We actually offer free quotes!) To give you an idea, your glass shower door can cost anywhere from $500-$4,000. Once you have your final budget, you should add an additional 10-20% to cover unforeseen costs, which will most likely happen. Now that you have a budget in mind, do your research on what kind of glass shower door you want. Find examples of what you like and choose a style that fits the look you want in your bathroom. 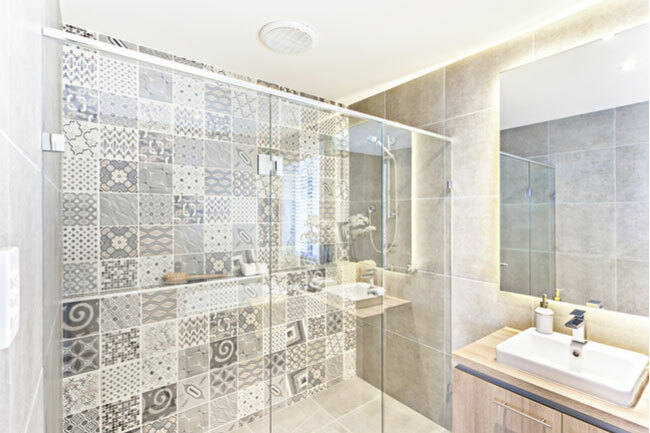 Yes, there is a lot to consider when choosing a new glass shower door! So, it’s important to research and decide before you get too far. And don’t forget to make sure it fits within the budget you already created. If not, go back to see what you want to adjust to stay within your budget. Maybe you want to select a different tile or find another way to save a little money. Let the fun part begin! Now you can start to look at some of the trendy glass shower doors out there. 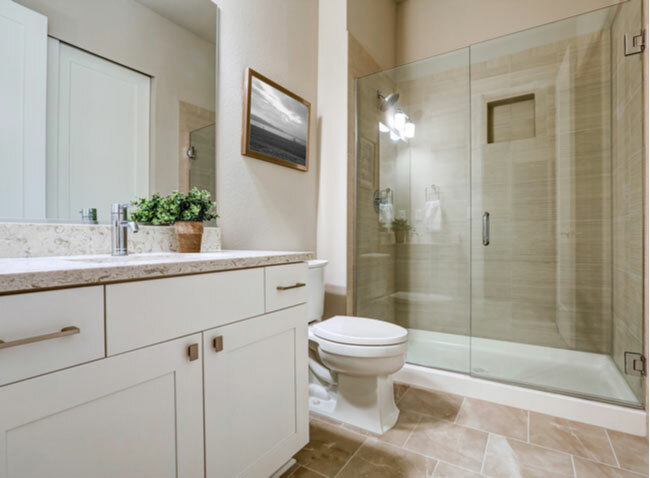 Right now, frameless shower doors and partial glass enclosures are the most popular. They are both very modern and sleek designs. Not to mention, they increase the overall value of your home. This is true in any facet of life. You can’t plan for everything. Some unexpected problem is bound to occur. But it’s okay, because you’re expecting the unexpected. Remember – you already set aside some money for this in step one. Every bathroom needs a proper ventilation system. This will help keep your brand-new glass shower door clean as well. Consider adding a window or a fan that helps circulate the air. This will reduce your chances of mold and mildew growing. 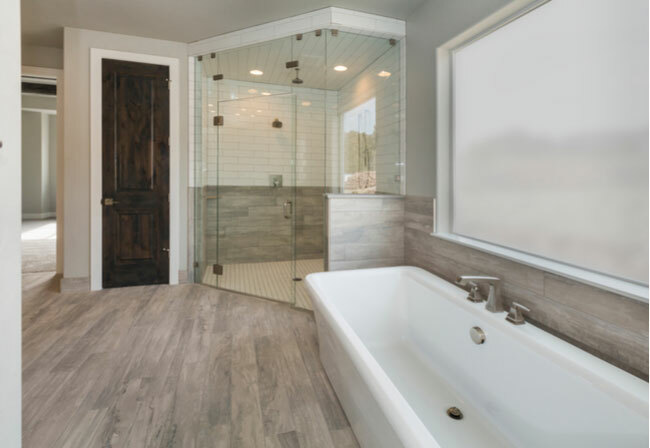 These strategies can help you with any glass shower door remodel. And it will ensure you stay on budget and complete your project in a timely manner. Now, go enjoy your new oasis!